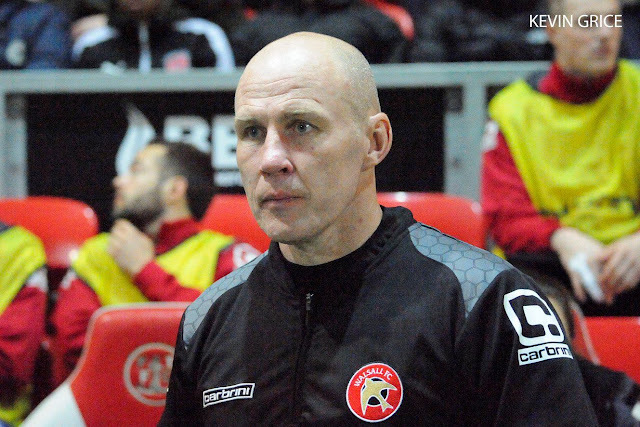 As he and his team prepare for Boxing Day's League One clash with Port Vale, Jon Whitney has spoken to the local press and revealed that he has given his squad Christmas Day, off as he believes it is important for them to spend the festive period with their families. Speaking via the Express & Star, Jon said; "We had three really good days training on Monday, Tuesday and Wednesday. We had yesterday off. But now it’s a two-day coaching block, today and Saturday. We will have Christmas Day off because I think that is important. As I player I came in on Christmas Day a few times. But I want to give the players the day with their families. "If you have an away game that is some distance I can understand coming in. And the players who live more than an hour away will be encouraged to stay in the hotel on Sunday night. That way they won’t have to travel too far for the pre-match meeting. But all the lads will be ready. I trust them. They are disciplined professionals. "There are pros and cons to training on Christmas Day. Everyone has got different views. But my view is to stay at home, rest, be with your family. Enjoy the festive activities but be disciplined because you are still a professional athlete. But my players know that. We will be OK."